There was such an air of excitement on the 21st of December. 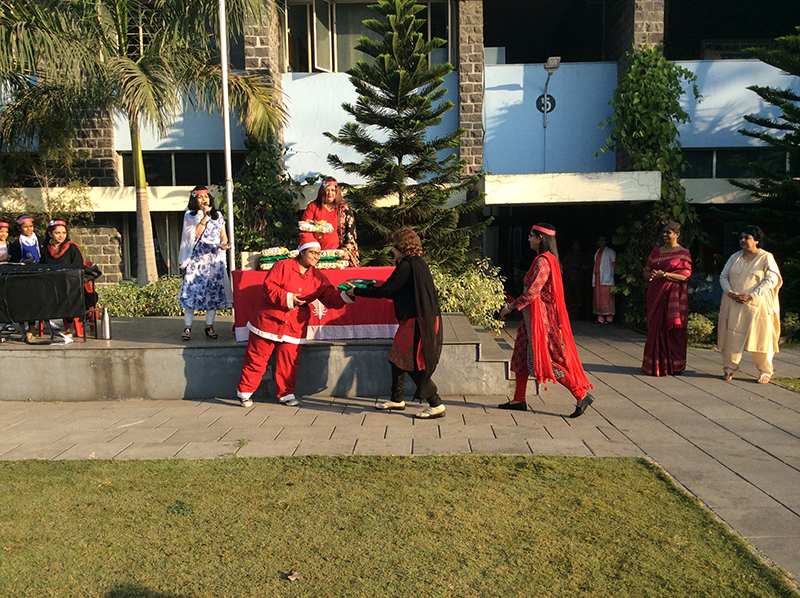 Santa was going to visit St. Mary's School! 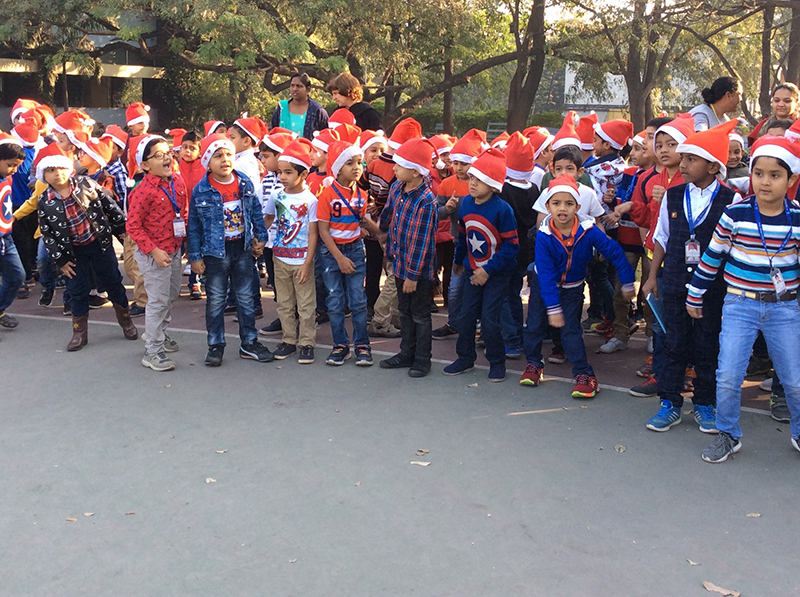 All the boys and girls of the prep section gathered on the school grounds and waited eagerly for Santa to appear. 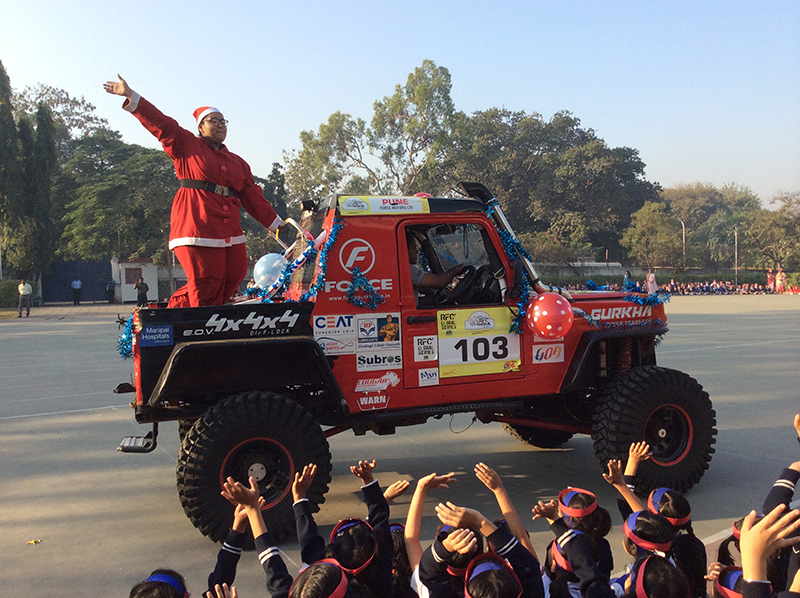 Imagine their surprise when they saw "Mrs Santa". 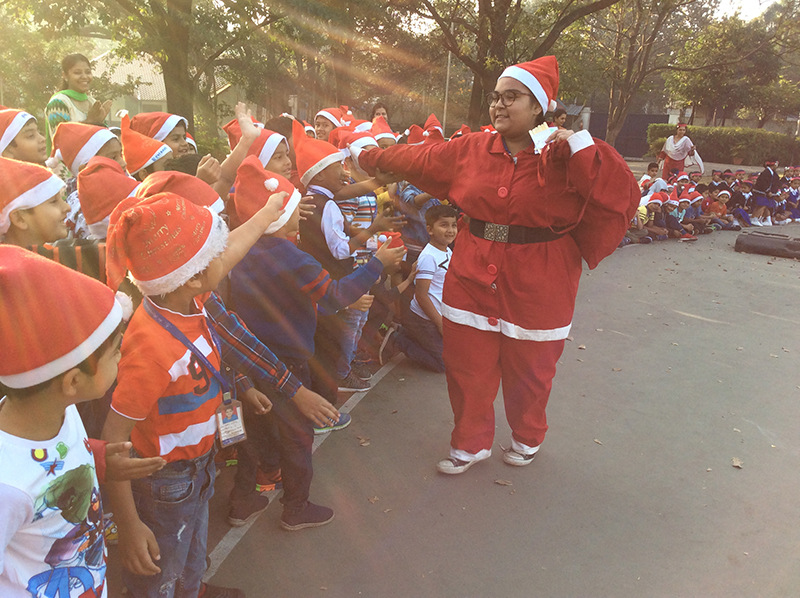 As Mrs Mallic Kumar explained, since Santa was busy preparing for the 25th, Mrs Santa had come instead. 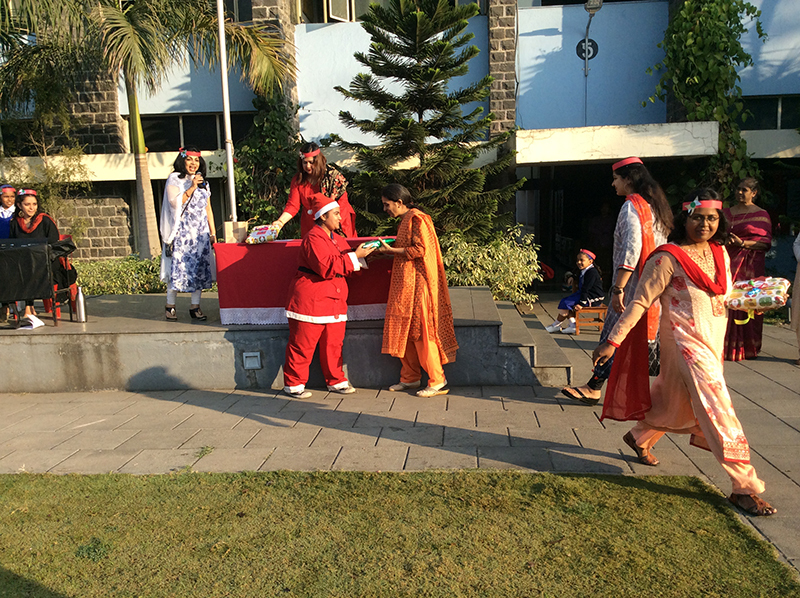 The children joyfully sang many Christmas carols while Mrs Santa went around.After that she distributed presents.The children returned to their classes filled with the festive spirit. 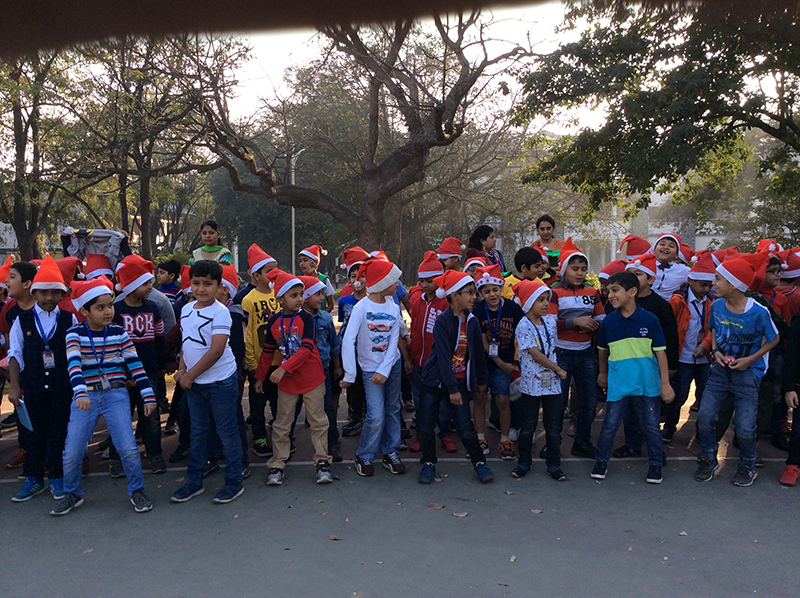 What a great way to start the Christmas season!